One of the easiest ways to attract and retain renters is by improving the energy efficiency of your rental property. More and more Americans are looking to live in a more sustainable or green way. This is especially true among millennials, who are quickly becoming one of the fastest growing demographics of renter. With some small improvements, you can tap into this growing segment of the population. As the famous Chinese proverb says “a journey of a thousand miles begins with a single step.” This is especially true with improving the efficiency of your rental property. There are a lot of steps you can take that don’t require a lot of money or time. Replace light bulbs with energy saving bulbs. Conventional incandescent light bulbs are notoriously inefficient. They end up generating more heat than light. You can switch all the bulbs in your units to energy saving CFL (Compact Fluorescent) or LED bulbs to reduce your carbon footprint, and save your tenant a couple of dollars off of their electric bill. Reduce drafts. Nothing will cause more needless energy expenditure than a drafty home. Sometimes the problem requires replacing door and windows, but oftentimes you can do very well by making small adjustments. Weather stripping, door sweeps, foam tape, and draft stoppers can make a world of difference If you aren’t quite ready to go for the whole replacement option. Install fireplace doors. If your unit has a fireplace you can lose a LOT of heat up the chimney, whether the flue is open or not. Installing fireplace doors or windows will help prevent a lot of that heat loss. 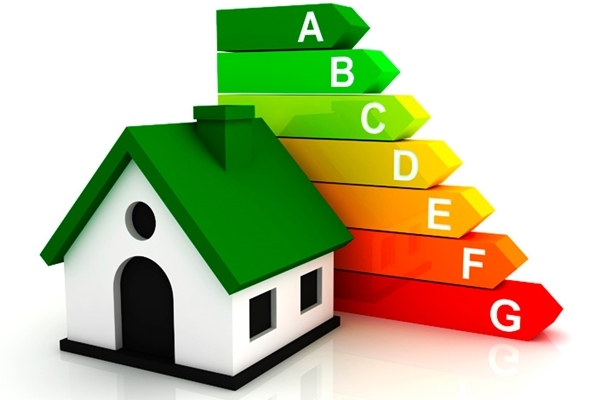 Some of the best ways to increase the energy efficiency of any property, unfortunately, can be very costly. New appliances and heating solutions make a pretty big impact, but they are expensive. You can help take the sting out of these types of investments by making one costly upgrade each year (or every two years if you pick more expensive projects.) These types of upgrades also help the resale value of your home if you ever decide to sell it. Replace appliances. A new energy efficient hot water heater or clothes dryer can make a huge impact on both your property value, and your tenants’ electric bill. Make it a point to look for the most energy efficient model and buy one new thing every year. Choose and energy efficient heat source. By converting to geothermal or solar heating, you will make a huge difference, although this could be very expensive to retrofit to your home. These types of upgrades should take the place of a few years’ worth of smaller upgrades. Following these steps will help you attract environmentally conscious renters. Be sure to mention your upgrades when you advertise your vacancies.